A stylish table lamp with shade the Black & Off-White Leaf Printed Table Light will illuminate your bedside tables, side tables and coffee tables. 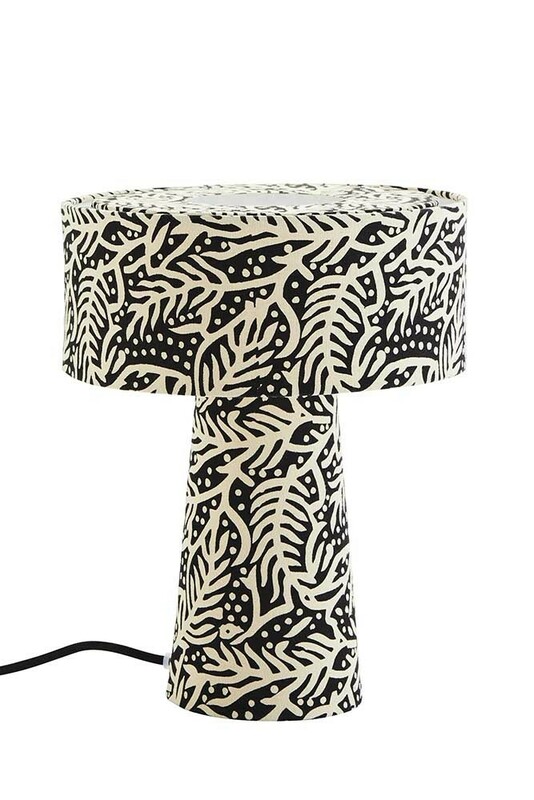 Unique lighting for the home, the All Over Black & Natural Printed Table Lamp is made from Printed Cotton and Iron. The All Over Black & Natural Printed Table Lamp requires an E14 Light Bulb and measures 25cm in diameter x 31cm in height. At Rockett St George it is our founding mission to source unique homewares that will light up your world (get it?!). So, we are always on the hunt for beautiful pieces that will inject personality into your home décor. We think that the maximalist leaf print Table Lamp is one of those décor accessories that will rock your world. But, that’s not all! 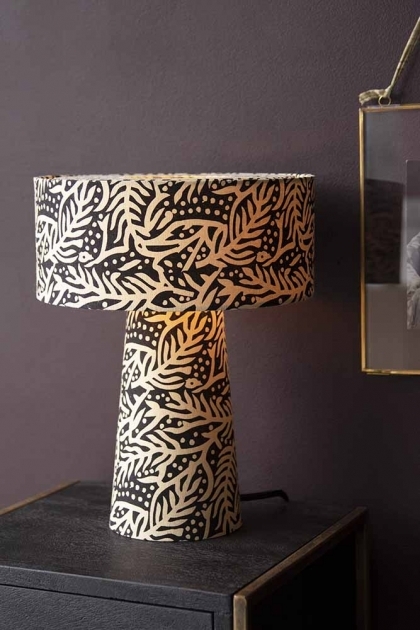 We also think that you will particularly love this All Over Black & Natural Printed Table Lamp because of it’s unique versatility. So, often maximalist prints only work for a select few décor styles, such as boho eclectic home décor. 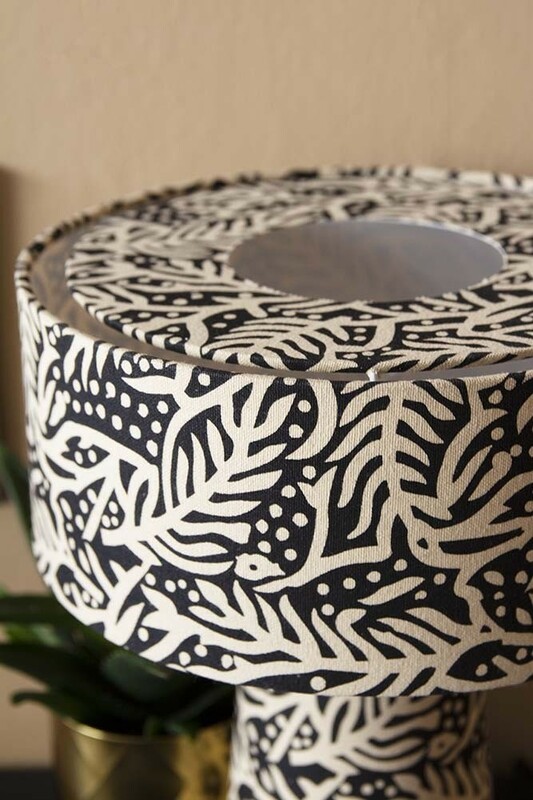 The All Over Black & Natural Printed Table Light is a little bit different. Because of it’s simple monochrome colours the table lamp will really work for a variety of décor schemes. Style your leaf fabric table lamp on your bedside and side tables and let it work its magic by adding texture to mid-century decors, softening modern industrial looks and injecting fun into bohemian and ethereal styles.